﻿ SRRC Certification-China Certification-Shenzhen STS test services Co., Ltd.
SRRC is a member of the National Radio Regulatory Commission. Since June 1, 1999, the Ministry of Information Industry (MII) has imposed The radio type Approval Certificate, which is sold and used in China, must be approved for radio models. The National Radio Monitoring Center (SRMC), formerly known as the State Radio Regulation Committee (SRRC), is the only institution in mainland China that has been authorized to approve and certify radio models. At present, China has set a special frequency range for different types of radio transmitting equipment, and not all frequencies are legally used in China. In other words, all radio transmissions that are sold or used in their territory will specify different frequencies. 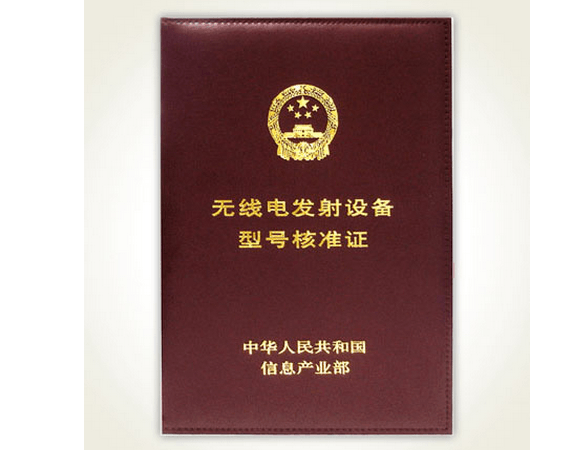 In addition, the applicant must pay attention to the provisions of certain radio transmission equipment, not only to apply for "radio model approval certification", but also must apply for China Compulsory Certification (CCC) or into the network license (MII) approval. National Radio Monitoring Center is the People's Republic of China Ministry of Information Industry directly under the institutions, mainly responsible for radio monitoring and radio spectrum management, is China's radio management support institutions. There are 10 offices, 1 national monitoring station, 8 national shortwave / satellite monitoring stations, 1 ultrashort wave monitoring station and 1 data backup center. Existing staff of 152 people, including: 117 people in Beijing, Beijing outside the 35 people, with undergraduate or higher education of 119, accounting for 79% of the total number of employees. Among them, with more than mid-level title of 96, accounting for 63% of the total number of employees. The center has always stood at the forefront of China's radio monitoring work, excellent completion of the daily monitoring, equipment testing, spectrum research and other work, in the protection of civil aviation navigation dedicated spectrum, to protect the national major activities during the radio information security and many other major monitoring tasks repeated Built Qi Gong, in the national radio management work has played an irreplaceable role. In recent years, the center has continuously strengthened the construction of talent and technical facilities, effectively promoted the modernization and scientific management of radio management. At present, the national radio management information network has been basically completed, the national radio shortwave monitoring network and the national radio satellite monitoring network also begun to take shape, Beijing and the surrounding areas of ultra shortwave monitoring network is stepping up construction. The center also has a world-class radio equipment testing laboratory. At present, the Center is committed to comprehensively improve the ability of radio management support, and strive for the healthy development of China's radio industry to make new contributions. 10. Frequency channel comparison table (if there are many work channels to provide, such as DSSS or FHSS work of the product). 8. The manager of the applicant unit or the agent applicant unit shall hold a copy of the employee's identity certificate and personal valid identity certificate issued by the applicant or the applicant unit. (2) The applicant unit of the domestic application unit or its entrusted agent shall apply to the radio regulatory organ of the province, autonomous region or municipality directly under the Central Government. The radio administrations of provinces, autonomous regions and municipalities directly under the Central Government shall complete the preliminary examination within 20 working days from the date of accepting the application. If the preliminary examination does not agree, the application information will be returned to the applicant unit. At the time of the preliminary examination, the application materials will be submitted to the Radio Regulatory Bureau of the Ministry of Information Industry. (1) The Radio Regulatory Bureau of the Ministry of Information Industry shall examine the application materials received. If the application materials are not complete or do not conform to the legal form, they shall inform the applicant on a spot or within 5 working days. If the application materials are complete, conform to the legal form, or if the applicant submits all the correction materials as required, it shall be accepted and notify the applicant in writing. Inadmissible, the applicant shall be notified in writing. (2) The Radio Regulatory Bureau of the Ministry of Information Industry shall, within 20 working days from the date of acceptance, make a decision to approve or disapprove the application for approval of the model. For approval, issue a "radio transmission equipment model approval certificate"; for those who do not approve, notify the applicant in writing and explain the reasons. (SIS) as a professional authority of the third party testing agencies and SRRC certification agency, not only has an independent laboratory and a group of experienced SRRC certification engineers, but also for our customers to provide a full range of SRRC certification services , The company signed a mutual agreement with a number of countries, and issued by the report (or certificate), in line with domestic testing standards. If you have relevant SRRC certification test requirements, please call us at 400-1800-162, we sincerely welcome you to visit our company.